With a sunny weekend approaching (and we all know how rare those have been this year!) 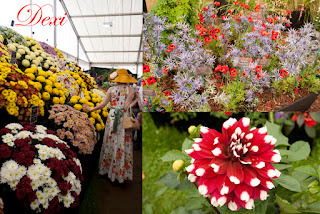 I was very pleased to accept the offer of a trip to the Royal Horticultural Society event at Tatton Park from one of my lovely gentleman 'friends'. 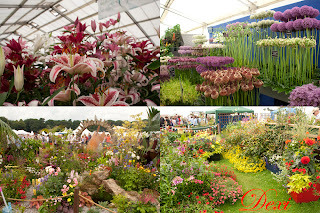 It would be my first trip to the show, although it's been on my list of 'things to do' for a few years now. I donned my vintage 1960's Dior gown and arrived at the park before opening. I am pleased to say that the sun certainly attended, too, and felt my head slowly burning whilst waiting in the queue. 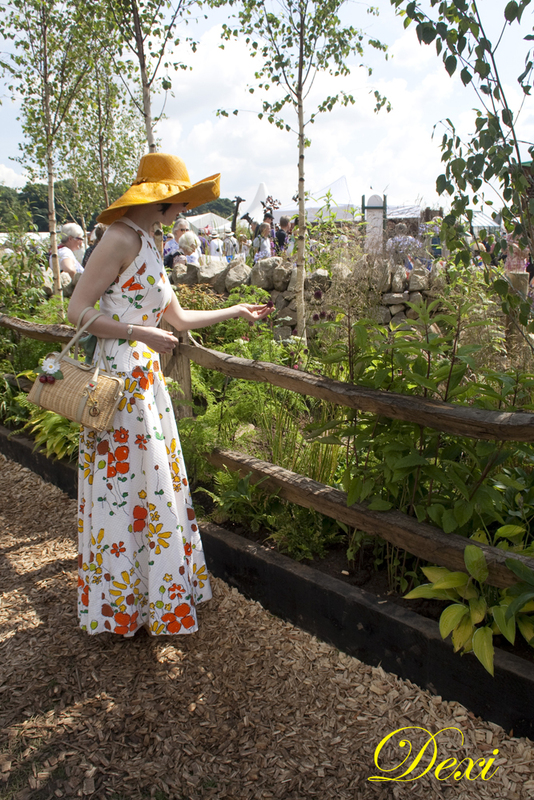 Once the event opened I took advantage of finding a fantastic stall by Peak and Brim hats, and decided on a gorgeous and bright summer hat to keep the sun's heat from my head! It complimented the outfit nicely, too. It was a tremendous day, especially for a lady who loves flowers. 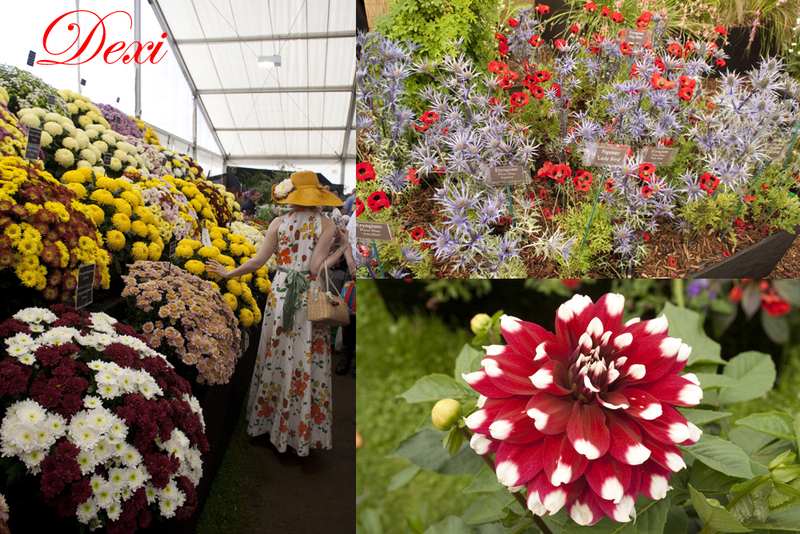 The competing gardens were fantastic, my favourites were the 'Interplantatary Travel - A Flight Of Fancy' by Tatton Park Gardens, 'Sister Suffragette' by Janet Leigh (not the one from the film Psycho - see previous post!) and 'The Science Of Strings' by Brendan Vaughan & Leon Davis. 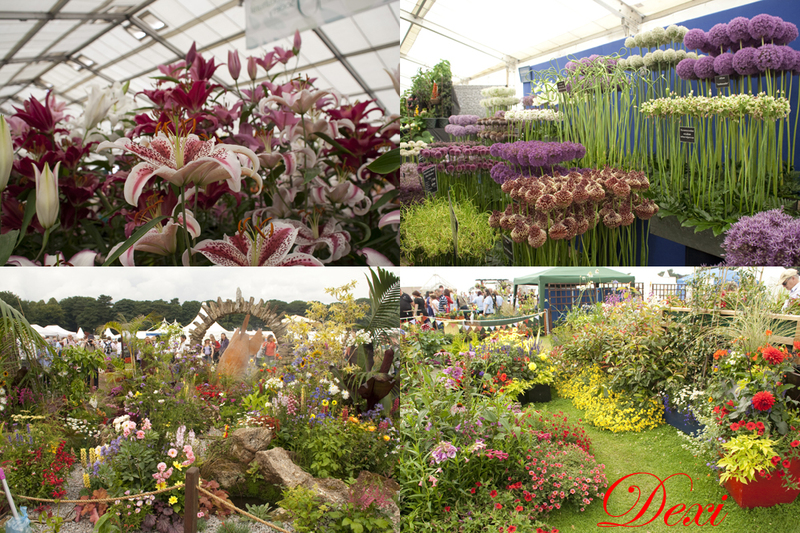 Alongside the gardens, there were beautiful displays of flowers from growers and nurseries from all over the country. The lilies (a particular favourite - a big hint there, boys!) were breathtaking, and another favourite, Aliums, had me reaching for my purse.